Need to shoot prone out to distance? Chances are, shooting mats don’t feature anywhere on your list of essential gear unless you’re a competitive marksman. That’s because most people underestimate the value of a shooting mat—until they’re put in a situation where they have to lie in a prone position. We’ll cover why you need one, how to choose the best, and our pick of the best across all budgets. Why Would I Need a Shooting Mat? 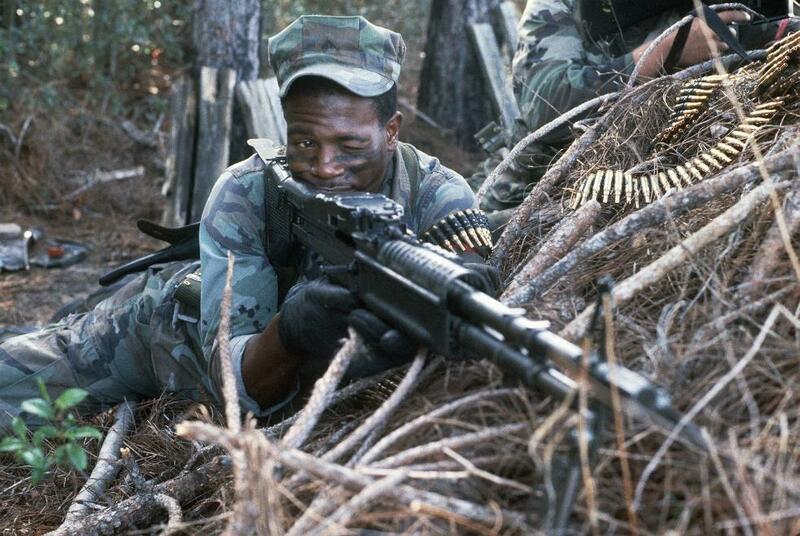 To shoot comfortably from a prone position, of course. As cool as it looks to get down and dirty, hunkered down in the bushes, it’s not something most shooters want to do willingly. Shooting mats provide extra padding against the rocks, thorns, and sticks on the ground, in addition to protecting your knees and elbows from scrapes and bruises. And who wants to risk scuffing up their rifle from dragging it across the cold, hard ground? Unless you’re a glutton for punishment or you really like roughing it, you should always have a shooting mat tucked away. And if you don’t have one already, today’s your lucky day. Because we’re about to Slickguns Review some of the more popular shooting mats on the market. But first, let’s take a look at some things you should keep an eye out for when shopping around for shooting mats. Padding to reduce discomfort from rocks, debris, and hard ground. A durable material that can handle the long-term abuse of being constantly dragged across the ground. But really, durability is probably the most important factor. After all, you’re going to be throwing this thing down on mud, rocks, or even snow, depending on where you live. You don’t want to waste your money on something that starts to wear down after a being exposed to the elements. Another thing to consider is whether your mat has a non-slip surface or not. You’d be surprised how a little bit of morning dew off the grass can turn a shooting mat into a makeshift slip and slide. A non-slip mat will prevent this from happening, making it easier for you to maintain your shooting position and maximize accuracy with every shot. Now that we’ve touched on some key elements that a good shooting mat should have, let’s check out some quality mats that you can use on your next hunting trip or range session. Considered by some to be the Cadillac of shooting mats, CROSSTAC mats are specially designed to maximize comfort and stability. 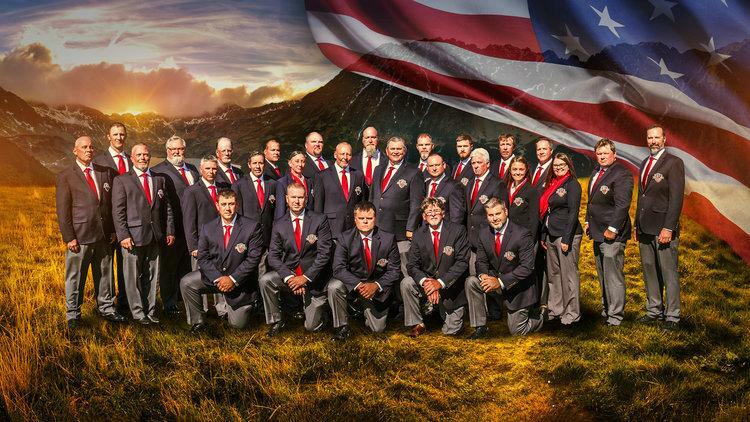 And if you’ve had any questions about just how dependable CROSSTAC shooting mats are, they’re the official sponsor of the United States Rifle Team, which brought home its third world championship in 2017. But what makes this shooting mat special? Front flap designed to stop the bipod from sliding around. Non-slip exterior doesn’t only reduce slippage, it helps repel dirt—keeping your shooting surface clean at all times. Made from water-resident fabric coated with polyurethane. Easy-to-fold design making it perfect for grab-and-go shooters. The only downside to the CROSSTAC mat is it’s basic, featureless design. 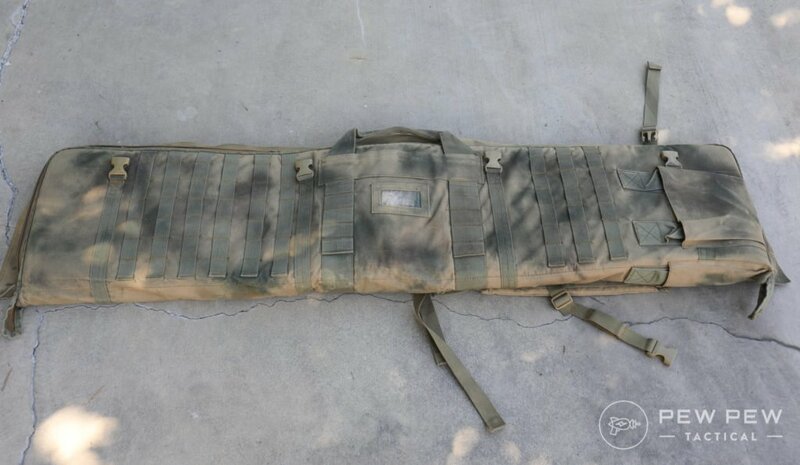 While it doesn’t come with pockets and hidden compartments, nor does it double as a carrying case, this shooting mat does serve its purpose and is great for anyone looking to improve their marksmanship. While it may not look like much, MidwayUSA’s Precision Shooting Mat offers shooters a great bang for their buck. 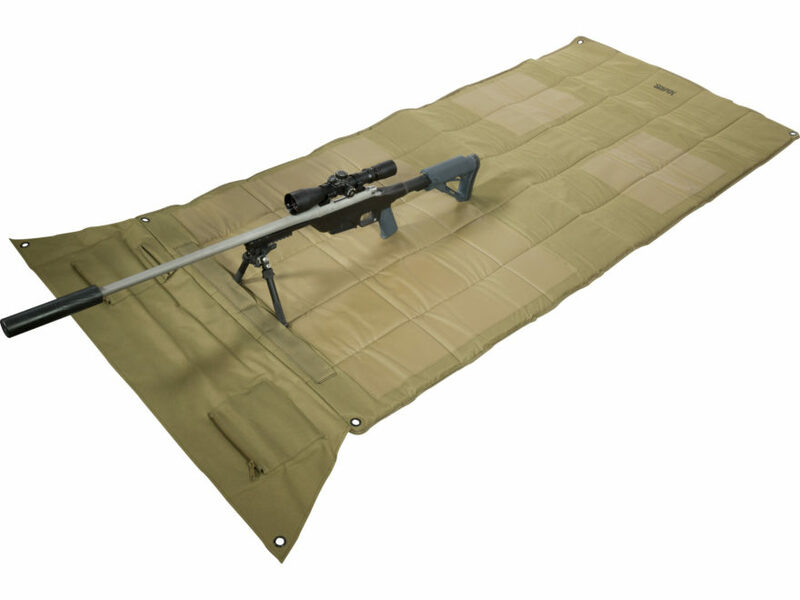 Designed to minimize slippage, the Precision Shooting Mat is made from a non-skid material that repels water without sacrificing durability and comfort. Corner grommets and stakes to reduce movement from recoil. Extra padding for elbows and knees built into the mat. Sewn-in webbing for bipod preloading. Two accessory pockets and two pockets for storing pens. Easy for carrying on long hikes, the Precision Shooting Mat also comes with a built-in handle and shoulder strap for easy transport. Also, the equipment is backed by MidwayUSA’s lifetime warranty. If you’re someone who likes to go on long hunting trips, trekking through mountains in hopes of bagging a prized bighorn ram, this is the shooting mat for you. While not as compact as the foldable shooting mats, the VISM’s roll-up design makes it one of the easiest mats to transport. Its built-in handle and shoulder strap allow you to carry the mat like a duffle bag, making it easy to lug around with you on your hunts. Aside from that, however, the VISM is a pretty basic shooting mat. 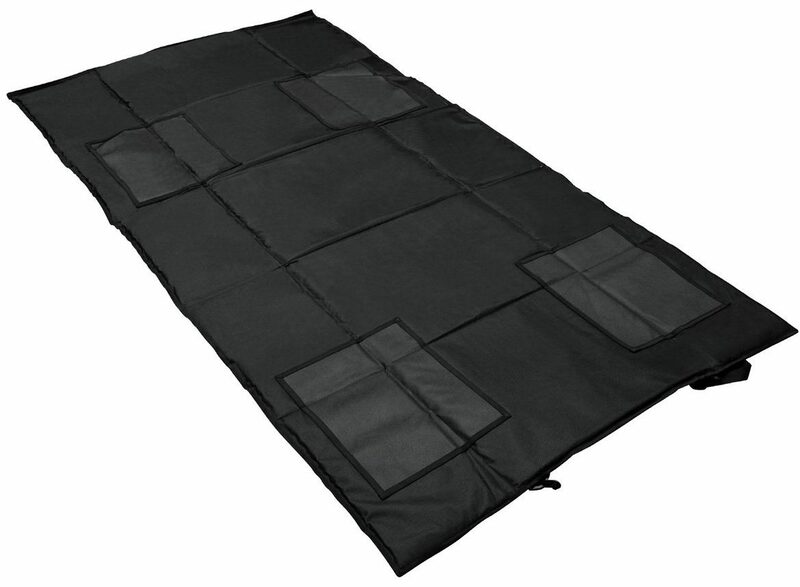 It comes with 0.3” padding around the elbow areas, but the rest of the mat offers no extra cushion against rocks, sticks, and uneven ground. It is, however, made from an anti-slick, waterproof material designed to help you hold your shooting position. Overall, the VISM is a purely functional shooting mat—but it’s arguably one of the better mats you’ll come across for $30. 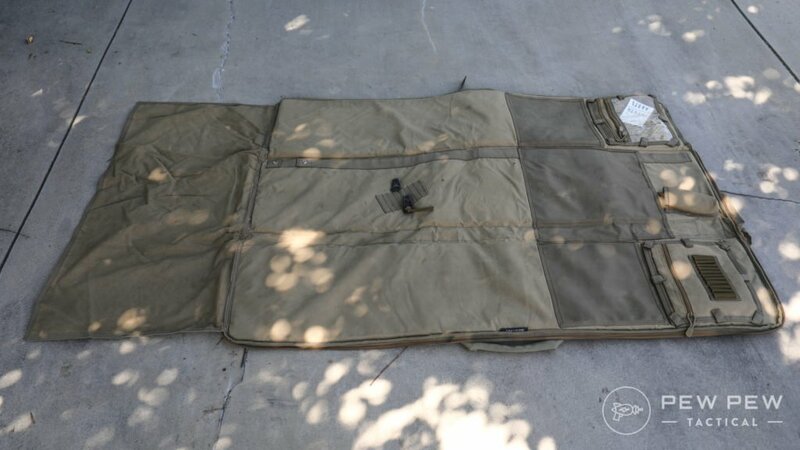 Sunrise Gear’s Lightweight Shooter’s mat is the perfect shooting mat for anyone looking for comfort and portability. Even though this shooting mat is the smallest on our list, don’t let its small size fool you. 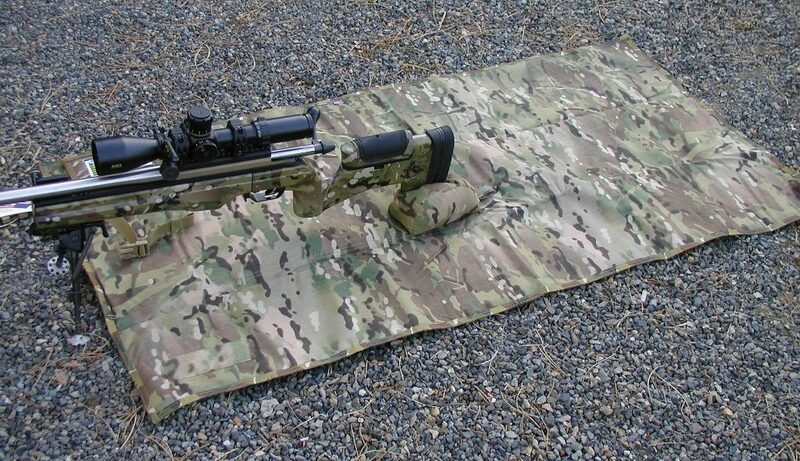 The Lightweight Shooter’s mat is compact and designed for quick deployment. Whether you’re looking for a mat to carry on those all-day hunts or you need something comfortable for the shooting range, Sunrise has you covered. Improved durability. Topside is made from 1000 D nylon, while portions of the bottom are made from 1680 Ballistic nylon. As a result, the mat is both rugged and non-slip. 1/8” foam padding for improved comfort. 1” buckle and strap, for attaching the mat to a belt or backpack during long hikes. Voodoo Tactical offers a lightweight, padded mat designed to maximize comfort while being easy to carry from place to place. 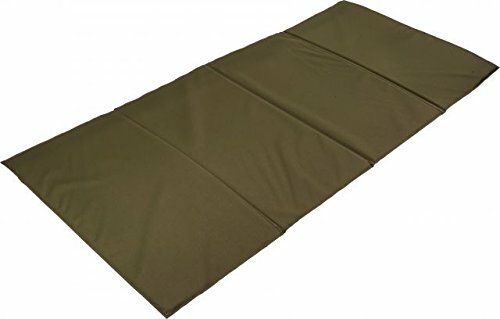 With a padded thickness of roughly 0.5”, this shooting mat provides absolute comfort in all but the most extreme surfaces. And thanks to the wings on each side of the pad’s front, you don’t have to worry about getting your elbows dirty or banged up while lying in the prone position. Another awesome feature of the roll-up shooter’s mat is the built-in pocket, which is great for storing your data book, ammo, or small gadgets. What’s your take on the Voodoo? Tired of lugging around a rifle case and your shooting mat? Carry both with the VISM case/mat combo. With the VISM combo, you can get the best of both worlds: a padded shooting mat and a fully-functional case for your rifle. And best of all, it actually works well as both. With that said, cleaning it can be a pain in the neck. It comes with a lot of compartments, which are really great at trapping in the dirt when used as a shooting mat. 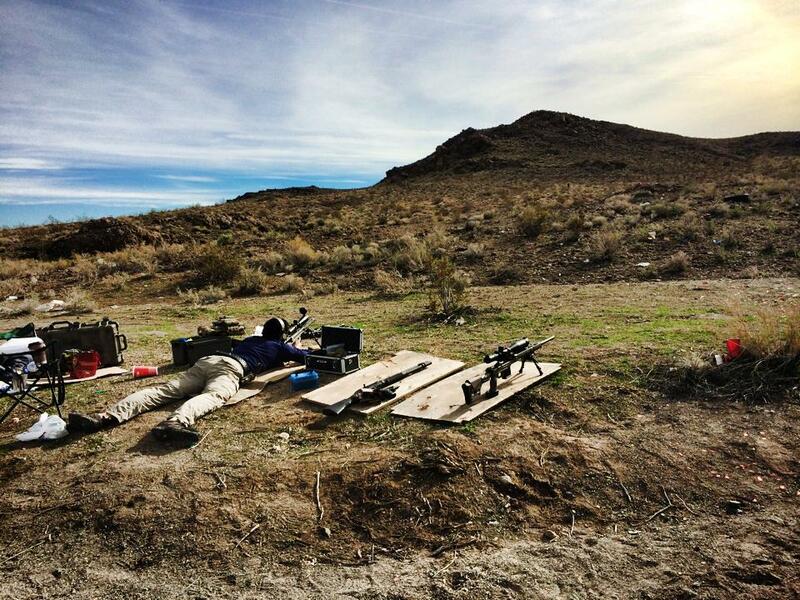 Don’t spend another day at the range with your face in the dirt. A good shooting mat won’t only make your next range visit or hunt more comfortable, it can also improve your accuracy by making it easier to hold your shooting position for longer. For this reason, we recommend everyone spend the money on a solid mat—if for no other reason than to give your knees and elbows a much-needed break. What shooting mat do you use? How often do you use it? Looking for our favorites in carrying guns and gear…check out Best Gun Cases and Best Range Bags. The post 5 Best Shooting Mats : All Budgets appeared first on Pew Pew Tactical.